Details about Killzone: Shadow Fall‘s first multiplayer expansion pack have been revealed. The expansion pack is called “The Insurgent Pack” and will include a number of exciting new features, including a brand new Character Class, three new abilities, three new weapons and two new game modes. 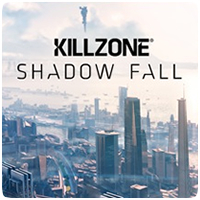 If you haven’t already downloaded the Killzone: Shadow Fall multiplayer client, what are you waiting for? The multiplayer portion of the game is free-to-play this week, even without a PlayStation Plus membership. The multiplayer mode can be enjoyed with no limits this week, starting today at 5PM PST (1am GMT, on Tuesday 4th March). Guerrilla Games have revealed two new multiplayer maps for Killzone: Shadow Fall, which will be released to the community free of charge. The two maps are inspired by key locations from the single-player campaign: The Cruiser and The Hanger; both of which will be fully compatible with Killzone Shadow Fall’s Custom Warzone feature. We would like to reiterate that Sony is shutting down servers for a number of PS3 games at the end of the month, disabling online gameplay. As of January 28th 2014, you will no longer be able to play MAG, SOCOM: Special Forces or SOCOM: Confrontation online. 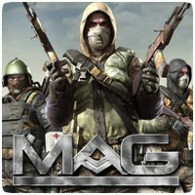 MAG and SOCOM: Confrontation and both online only titles, so both of these will become completely unplayable. 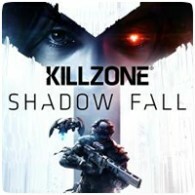 PlayStation Plus subscribers will be able to try out Killzone: Shadow Fall‘s multiplayer component for free over the weekend of 28th to 31st December 2013, without having to purchase the full game. It’s effectively a multiplayer trial, but gives you a good idea of what the game is like, and maybe even persuade you to but the full version. 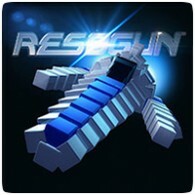 Housemarque have release yet more footage and information about their upcoming PS4 title, Resogun, which launches in North America tomorrow. The new trailer also includes a very short glimpse at the game’s co-op mode, which was also announced today. Gamers can use different combinations of ships in the co-op multiplayer mode, each having their own advantages and disadvantages. Guerrilla Games are so proud of Killzone: Shadow Fall’s framerate and resolution that they’ve released lightly compressed ultra-high bitrate video of multiplayer footage to show gamers just how impressive the game looks. Streaming the footage doesn’t do justice to the video, so you have to download it to truly experience the quality. Guerrilla Games have released a new multiplayer trailer for Killzone: Shadow Fall, showing new gameplay footage. 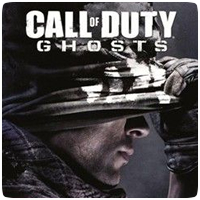 The multiplayer mode supports up to 24 players across a variety of play modes, and runs at native 1080p resolution at 60 fps. The also lets players create their own Warzones to enjoy with friends online. Activision have revealed a new four-player co-op mode in Call of Duty: Ghosts, called Extinction. The new mode sees a group of up to four players taking on aliens and defending their base from the extra terrestrials. It’s also class-based and players will level up as they progress. Guerrilla Games have revealed details of Killzone: Shadow Fall DLC season pass, as well as releasing a new trailer, which provides an action-packed look at the multiplayer mode. The first six DLC packs for the PS4 exclusive has been revealed, and include online co-op expansions, and map packs. The season pass will be available for just £15.99/€19.99, giving you access to all six DLC packs.